Fast, light and minimalist. Three key ingredients to a successful day of ski touring and also the same words that Montane uses to describe their newly redesigned Air Jacket. This is a waterproof breathable eVent hard shell that keeps the design simple in order to save on weight and at only 320 grams the Air Jacket lives up to it's moniker. 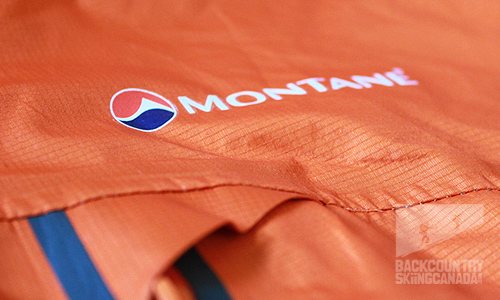 It's predecessor was almost 5 years old so Montane added some updated creature comforts and re-designed the look. 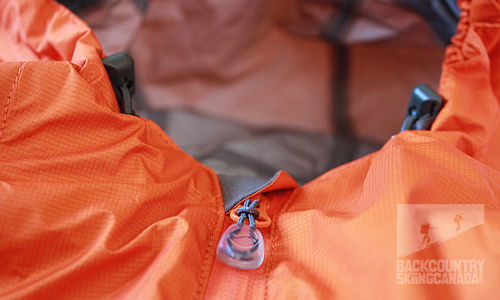 The new Montane Air Jacket is still incredibly light and will pack down into the tiniest of stuff sacs (included - nice touch!). The single chest pocket saves on weight but does not sacrifice functionality as it provides a behemoth 28cm long by 19cm wide of storage capacity. That is one big pocket people, built for maps, gloves, a toque or even a personal pan pizza, should you choose. The roll away helmet compatible hood with wire brim is the best fitting hood I have seen in a long while and the wire brim is pure genius. These are simply the highlights so check out all the features listed below. Although not a house-hold name on this side of the pond Montane has been designing and producing lightweight, breathable clothing for over 18 years now. The company was founded in a storybook fashion, young engineer passionate about exploring remote and wild places begins sewing garments for himself and his friends. Add in innovative ideas and recognizing the genius of eVent fabric. Then develop products that push the boundaries of convention. And finally test products in endurance expeditions. 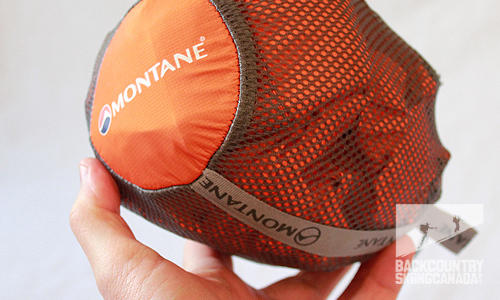 This all sounds pretty logical really, and it has proven the correct formula for ensuring that Montane's products live up to their reputation. Safety - Subtle reflective patches on the jacket for safety. Hood - Fully adjustable, roll-away helmet compatible hood with reinforced wired peak, elasticated volume adjuster and single-hand operated, elasticated, face aperture draw-cords. 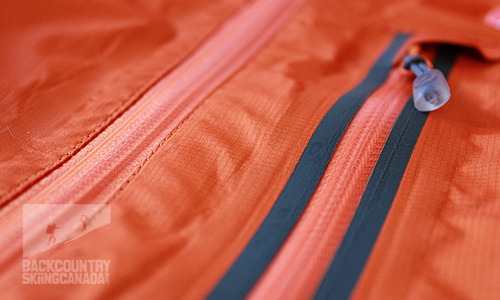 Zips - Full length laminated two-way front zip with internal storm flap and zipper garage. 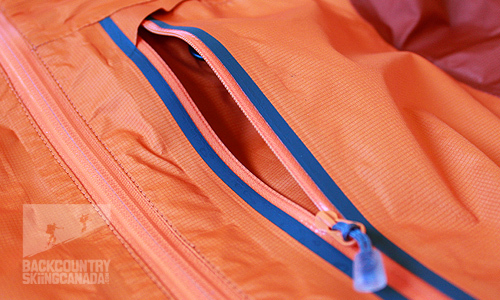 Pockets - Map-sized, internally vented mesh-lined chest pocket with laminated water-resistant zip and integrated D ring for fastening car keys. Cuffs - Shaped cuffs with hook and loop adjustable rubberized tabs, non-elastic velcro seals out weather. Hem Adjustment - Single-hand adjustable elasticated draw-cord at the hem. Stuff sac - Included for storage when not in use. As with most waterproof / breathable fabrics, the eVent fabric contains a Durable Water Repellency (DWR) as the first barrier to keeping you dry so regular cleaning and reproofing is crucial to maintaining repellency. Aside from the obvious features of the Montane Air Jacket, such as eVent fabric, waterproof zips and adjustable hood this jacket has some unique features that make it ideal for backcountry skiers. Being only 320grams and packing into a stuff sack the size of a can of beer (which is included - no, not the beer) are the first two features that come to mind immediately. The following innovative design features demonstrate Montagne's attention to detail – the collar and hood design as well as the chest pocket. 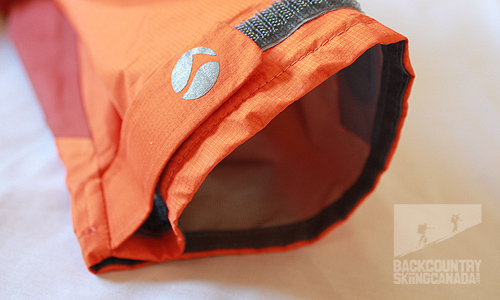 The extra high collar combined with the adjustable hood keep wind and snow out of your face. 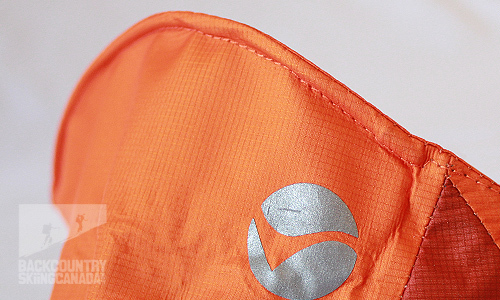 Cinch the hood and adjust the wire brim around your goggles and zip up the extra high collar and nothing will get in. I think the wire brim is my favourite feature - one storming ski tour and I am sure you will agree.The gargantuan chest pocket is also a big bonus as it is map compatible with a 28cm long zipper. On the down side, the athletic fit provides a low in front, long in the back design with the former not being as ideal for skiing as the latter. This reviewer also found the fit a bit snug under the arms, with not much room in the pits which is a worry for those extra layers. I am not a big guy at an average 175 lbs so I was curious as to these proportions since the sleeves offered lots of length even when reaching over head. Overall, some innovative features I will add to my 'must have' list and one seriously light and compact ski touring shell. Lifetime warranty. Wire brim hood is very functional. 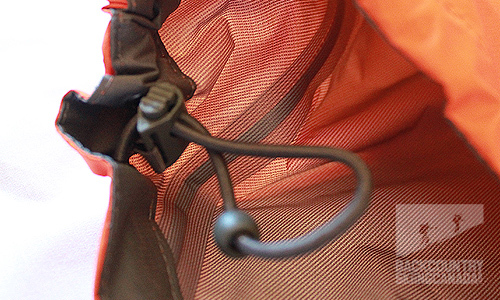 Seriously light and packable and the included stuff sac is a nice touch. 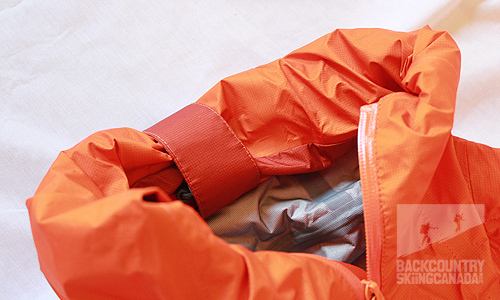 Material feels more like a rain jacket than a hard shell and is a little crinkly - minor points. 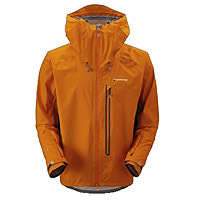 The Montane Air Jacket has proven to be an essential piece of gear that I use on all of my summer mountaineering, hiking, climbing and camping trips. 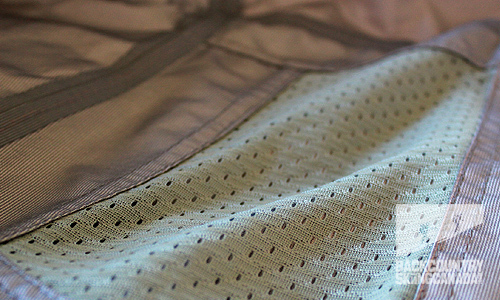 It is light and compact and after two years of use the E-Vent fabric is still as waterproof as ever. The orange colour does show the grime at the hem and cuffs and there may be a few small spots of delamination occurring but I am keeping my eye on it as the jacket comes with a life time warranty so you know it's covered.